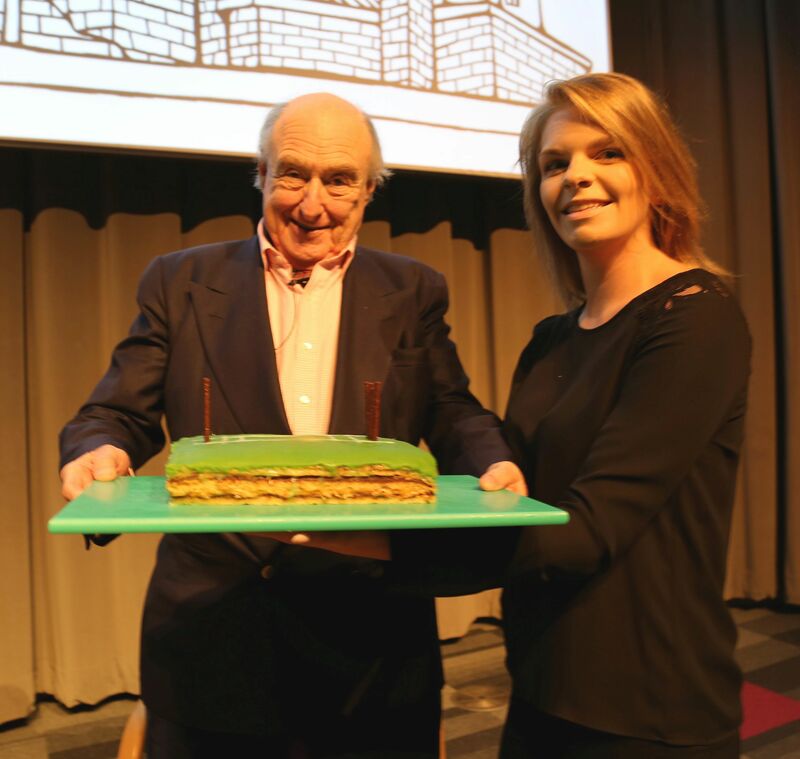 Cricket commentating royalty Henry 'Blowers' Blofeld was left stumped when presented with a commemorative cake by Sheffield Hallam University students. The much-loved Test Match Special host, who recently retired from commentating after 45 years in the hotseat, was in Sheffield to promote his new book, Over and Out: My Innings of a Lifetime with Test Match Special, as part of Off the Shelf 2017. Moments before his sold-out talk with Sheffield Hallam University history lecturer Dr Kevin McDermott, Blowers – who is 77 (not out) – was presented with the cricket-themed cake, which had been made by students from Sheffield Hallam’s food and nutrition degree following a bake-off style competition, which was won by first year student, Olly Jagus. The cake was presented to Blowers by the President of Sheffield Hallam’s Food and Nutrition Society, Sophie Corah. 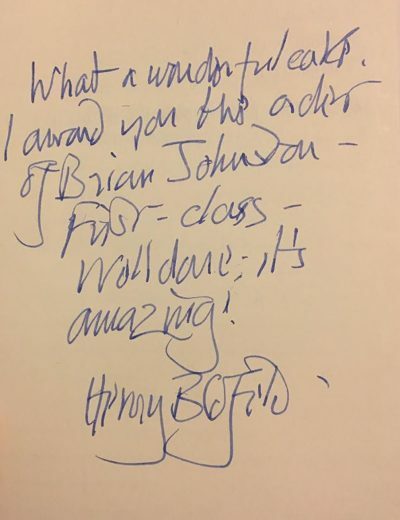 As Blowers was unable to take the cake home with him, he kindly shared it with his fans while signing books after the event. 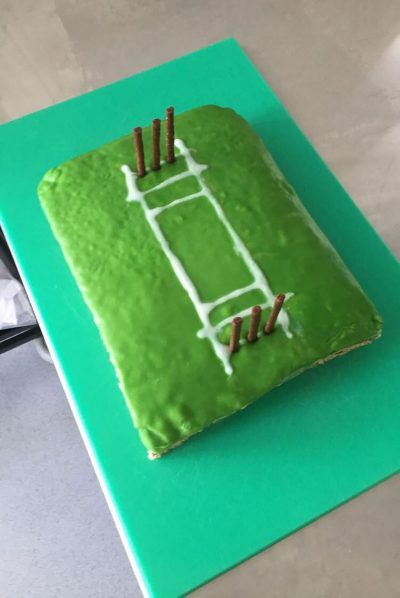 The cake had run-out by close of play.